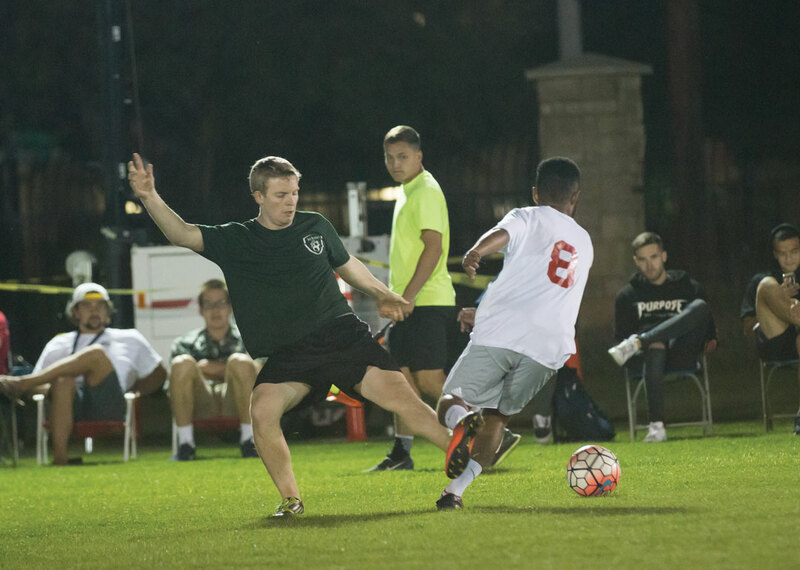 Every year, the California Baptist University intramural soccer participants compete for the highly coveted championship title in the Lancer Cup hosted by the Office of Community Life. The Lancer Cup is a CBU tradition that brings students together not only to participate in the sport, but cheer each other on, build community, encourage school spirit and develop healthy, positive sporting competition. This year, the competition came down to two teams, Wales and Ireland, and ended in a 3-2 win for Wales. Carson Belmont, assistant director of Recreation Programs, said this year’s Lancer Cup brought new opportunities and a positive atmosphere for the students. Peter Thomas, freshman business administration major, said he came out to watch the game to support some friends he had on the Wales team. He said he has high hopes for his soccer team, New Zealand, to make it to the Lancer Cup in future years. Thomas said he enjoyed how the game brought a lot of different cultures together and had diverse country representation. Food trucks were also at the event and the first 600 students received vouchers from the Office of Community Life for a free meal from one of the seven food trucks. Ian Dawson, senior business administration major, played defensive midfield for Wales. Dawson said most of the students on his team had been playing together for three to four years and had good chemistry and experience. Dawson said Ireland’s early goal in the game made it hard to come back for the team, but when they did recover, they tied the game and came out with the win in the last five minutes of the soccer match. Students will look forward to next year’s Lancer Cup competition with new teams, revived competition and an opportunity to impact the community.